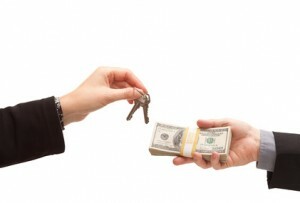 Should Landlords Apply Deposit to Last Month’s Rent? If you are allowed to collect a damage deposit, you may have heard this request before — an exiting tenant wants to apply that deposit to the last month’s rent. The tenant wants every penny they have to apply towards their new rental home and the costs of moving. If the tenancy went well and everything looks in order, it may be tempting to grant that request — after all, it does save the added hassle or accounting for the deposit. It’s possible that the tenant is aware of hidden damage to the property. They may be trying to circumvent the lease to avoid losing their deposit money. The tenant’s request probably violates the lease. Typically, a lease requires the tenant to pay the last month’s rent as a separate obligation. The deposit may be held for a set time period beyond the move-out to protect the landlord from undiscovered damage. Modifying the lease complicates enforcement down the road. It also can make the landlord look like a pushover, which can spur on more bad behavior. If only on principle alone, the lease should be followed. The tenant who is not waiting to receive their deposit may not clean or restore the rental property back to its original condition. There is little incentive for them to go that extra step. That means more work for the landlord getting the place ready for the next tenant. The tenant has what they need, so they are more likely to leave early, without a walk through, leaving a forwarding address, or returning keys. If they already have a new place to live, perhaps they feel they can burn the bridge. If faced with this situation, insist that the tenant respect the lease and pay the last month’s rent. Tell them they must wait for the damage deposit to be refunded — after you’ve had a chance to assess any possible damage, unpaid utilities, or other costs. Signing up to Report Tenant Pay Habits is another way to keep tenants on track with their lease responsibilities. Knowing that they will be reported if they do not pay the rent each month may serve as a deterrent to the tenant who tries to deduct the deposit from the last month’s rent check. I have tenants who want to do this all of the time. Don’t let them. I will tell them that as soon as they are fully moved out I will do a walk though with them. If it all looks good I will give them a check right then. It gets them out sooner, which gives me time to work on the place before the next person comes in and eliminate the hassle if something is damaged and tenants dispute it. If something is damaged/uncleaned you can negotiate the reduced security deposit right then in person. People are almost always more agreeable/reasonable in person then if you try to negotiate on the phone, email or through the mail later once they are out. In Ontario (and possibly other states and provinces as well) the tenant’s last month’s rent deposit must be used for their last month’s rent.